It is super busy around here, getting ready for our 3rd Refresh Summit in less than two weeks! I can’t not wait to head out to Tennessee and squeeze so many of my favorite people. I also can’t wait to be in a state that actually is enjoying FALL! I mean, I am enjoying it over here…well we Southern California’s are pretending to. 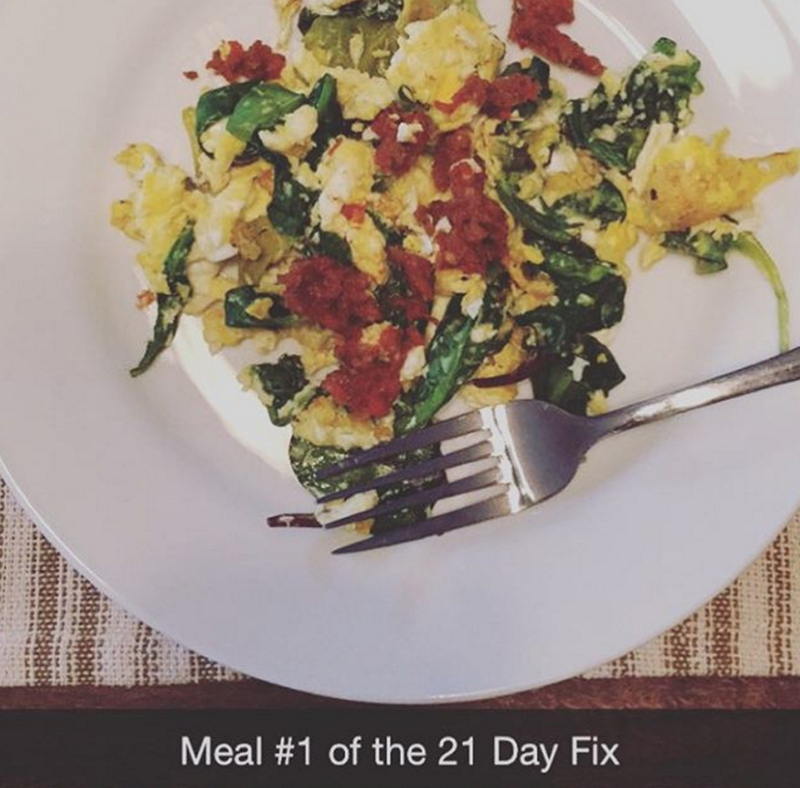 On Sunday I finished my very first week of the 21 Day Fix and I LOVED LOVED LOVED it! Seriously one of the simplest plans I have ever followed, it reminds me a lot of my Shred’s (I think she copied me..ok not really). But I am truly LOVING IT! The key to this plan is MEAL PREP as really any clean eating lifestyle is. You have a container for your fats, proteins, carbs,fruits, vegetables, and dressing/seeds. You also get tsps of nut butters and oils. 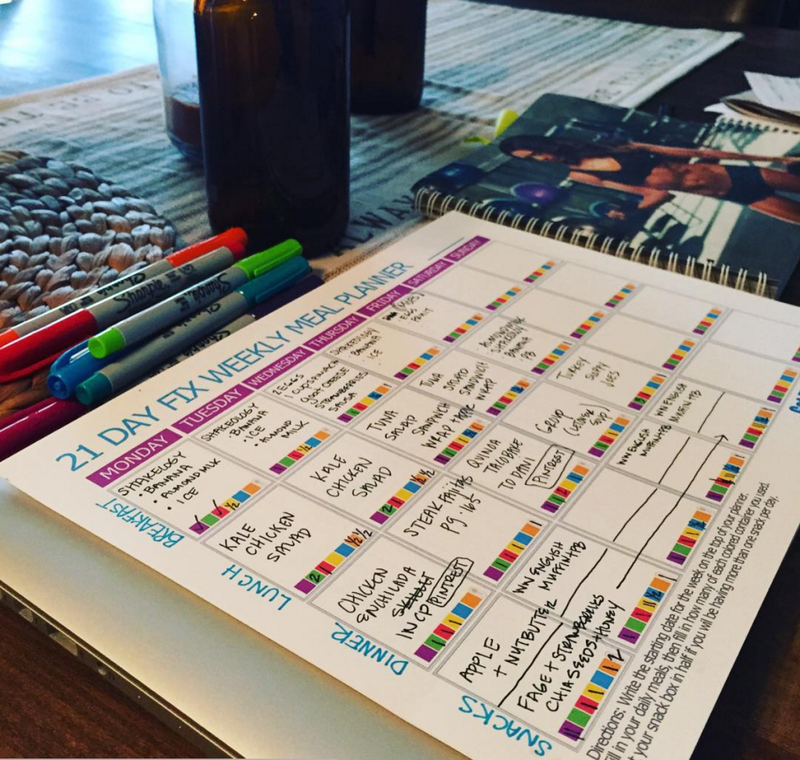 I have been using the 21 Day Fix App (free) and it has helped me stay on track! I also found this great print out that is great for planning our meals out for the week. Oh yes, hubby is doing this with me! Included with this program is a 30-minute workout for each day (JUST 30 minutes friends) of the week and the only additional items you need are dumbbells or resistance bands and a yoga mat. 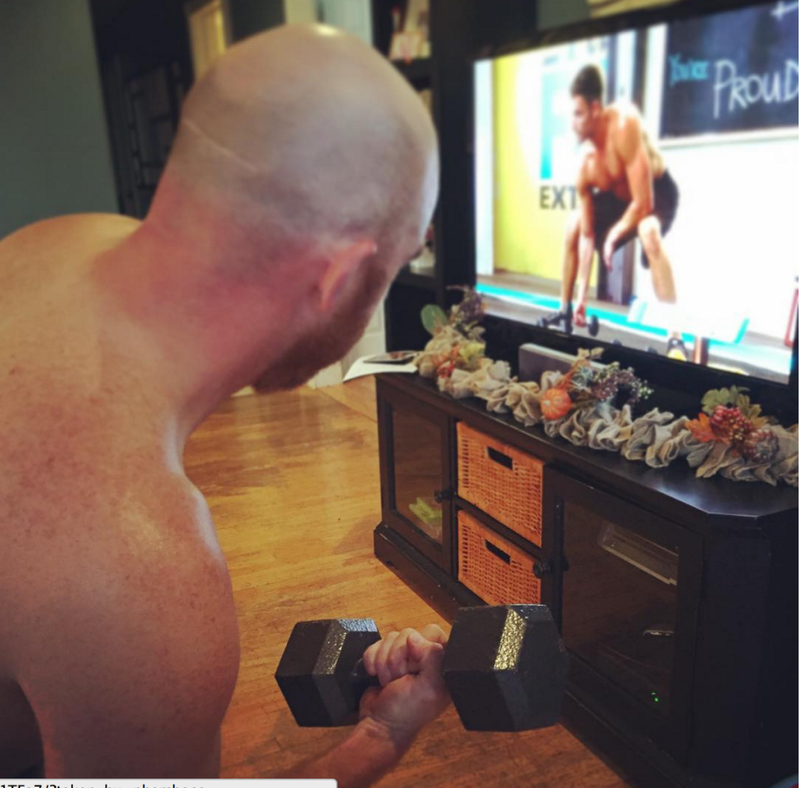 If you order the program through a Beachbody Coach (UM…ME) you also receive a Bonus Workout called Plyo Fix. 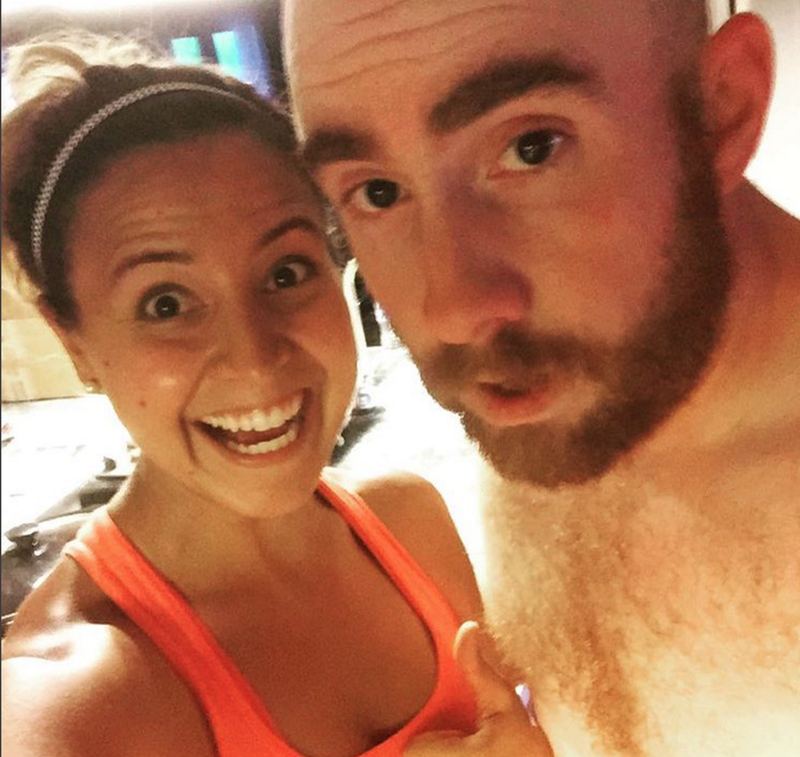 There is a moderator in every workout, so you can either follow her if you are new to fitness or you always have the option of following the group for as long as you can and then switching to the modified move if you begin to get tired. I love this because it offers lots of room for growth and lets face it, not every workout is our best. I weighed in at 3 pounds less this week and lost 1 inch on my waist, 0 inches in my hips, 1/2 an inch on my arm and .5 inches in each thigh! I am not focusing on the scale, more on how my jeans and clothes fit and how I feel on the inside and man am I feeling like a million bucks! Hubby lost 4 pounds! I love how this program is something I can see myself doing again and again! The balance is my favorite part and it’s really helped me to watch my portions without feeling deprived. The workouts are realistic, I am all about short efficient workouts that work! I did have a some wine over the weekend, but nothing too overboard and was a lot more mindful about snacking. I leave for Tennessee on Tuesday and plan to finish out well, I want to see how this can be a lifestyle and I love watching the ladies in my challenge group make some pretty amazing lifestyle changes that is bringing them happiness and joy! If you are interested in all in the program you can shoot me an email or head over to my website. 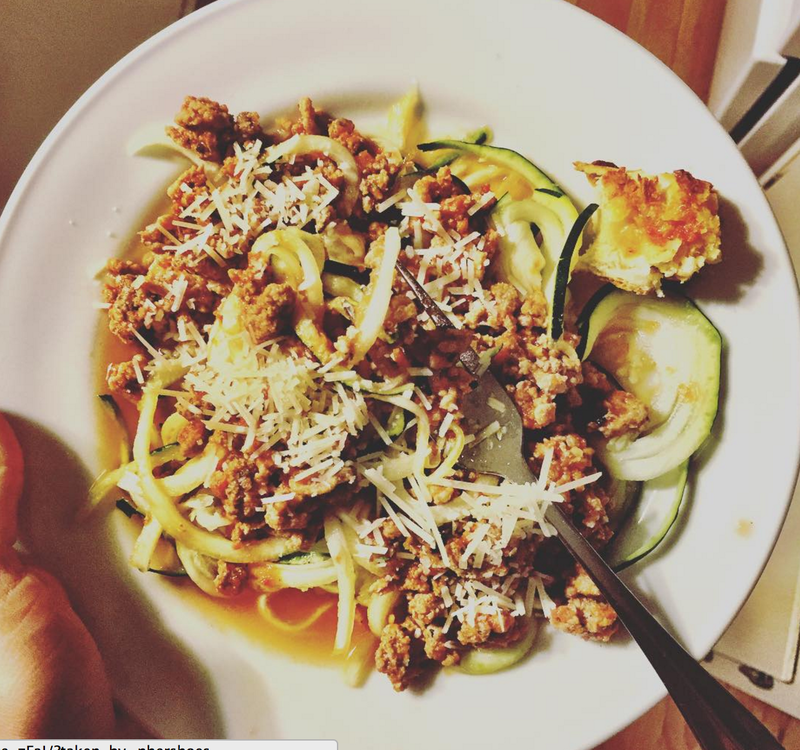 Question: What is the hardest part about eating healthy for you? Nothing like a fun and inspiring program to get things moving in a healthy direction. Looks like you are your hubby are having great success! Keep up the hard work. For myself, I have never found healthy eating to be a challenge. My diet has always been based on moderation, not deprivation, so eating healthfully just come natural, as it’ what my body usually craves.